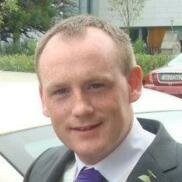 Ciaran is a staff representative on the board of the City of Dublin Education and Training Board. He has worked as a teacher in Coláiste Dhúlaigh College of Further Education since 2001 and is an Assistant Principal there. He co-ordinates the Computer Science course and has the responsibility of Marketing in Coláiste Dhúlaigh College of Further Education.